When I produced my first DVD release, Accidentally Preserved: Volume 1 in 2012, I was concerned about fans being able to see the whole image. I was, after all, showcasing films that only survived in 16mm prints from the 1920s-1940s, which had a certain amount of cropping already. Now there was the added factor of over-scanning. Commercial TV’s, including the 16:9-aspect ones most people now have, actually crop off a certain amount of the edges of the image. This is known as “over-scanning”. While I lack the tech knowledge to explain this or its history, I am aware that exists. 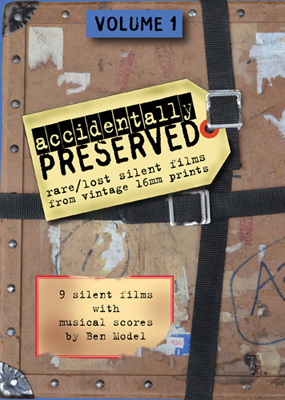 In preparing to make the DVD of the films on Accidentally Preserved, I knew that if I presented these rare silents as is , full frame, there’d be an additional amount of cropping on top of the cropping that happened when the 16mm prints were made decades ago. Certain shots might trim off the tops peoples heads (hats, really…this was the 1920s after all) or the sides of title text, etc. I’ve seen window-boxing used on some classic and silent film DVD releases and it’s usually done in a way that’s noticeable. In other words, you’re able to see the black border around the edge of the image. Even in your over-scanning TV set. I see this done a lot just in the opening titles of WB and MGM cartoons and in classic films on TCM. Lots of black border in the opening credits, then it jumps to “full-frane” when the film itself begins. I get the logic behind this practice. It ensures the viewer that they’re seeing the whole image. 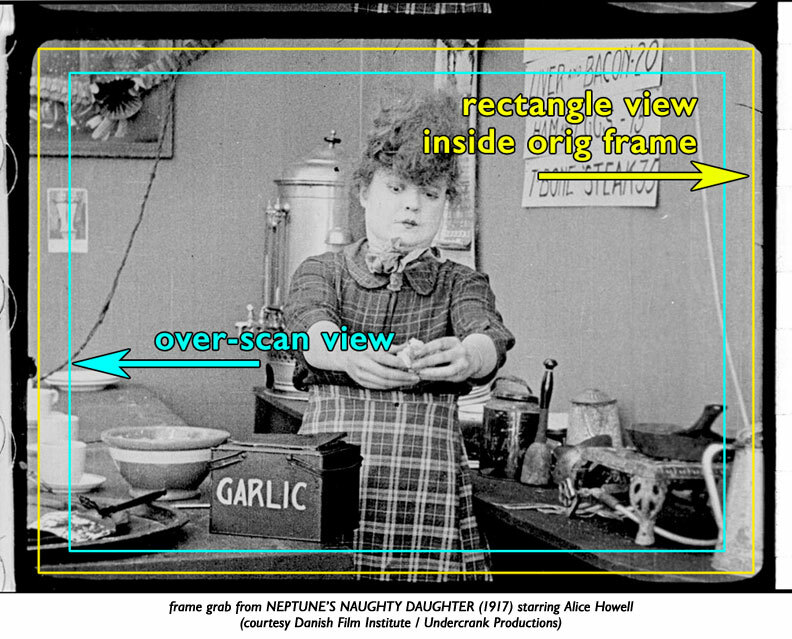 But, especially when it’s done for the entire film, it also makes the viewer aware of the window-boxing by having the black border around the image visible to the viewer. I didn’t want that either. One thing I’ve learned from projectionists I’ve gotten to know is that setting the masking properly so there’s no blank screen around the image is very important. It’s something the audience is rarely aware of but it’s a detail that gets paid attention to. I did some trial and error with test DVDs of Accidentally Preserved, looking at an image that I reduced by a few different amounts and viewing it on a few different TVs. Ultimately, I settled on that if I reduced the image by 97%, you were basically seeing the whole image on a regular (over-scanning) TV. The sliver of black border that was the remaining 3% was slim enough you didn’t really notice it when watching on a computer monitor or when projected. I’ve continued to do this for all my DVD releases. I’ve also created a mask with curved corners to match the aperture of the originally-printed, newly-scanned film, in order to be sure I am presenting the original full frame, where possible. Usually I see film on video with squared off corners. Which means that there’s double cropping again. First, the 90°-cornered inner rectangle lops off a certain amount. Second, the overscan takes another 3% or so. I’m sure there’s a very good reason most DVD and Blu-ray distributors don’t do what I’m doing. It may just be “broadcast standard”. But I have a feeling that what people see when they watch one of my Undercrank Productions DVDs may be a little closer to what people saw in theaters originally, in terms of the percentage of image area. Your results, as they say, may vary. There are a lot of people like you who still have a 4:3 tube TV, and I check in every year or so with people I know at Kino etc to see what the standard is — and it’s still that 4:3 films are released on DVD in non-pillarboxed 4:3. This may change, but for now you’re safe and won’t have to watch a pillarboxed 4:3 film as a tiny box in the center of your TV.